Mike Trudell has been the beat reporter for Lakers.com, since the 2008-09 season, and is the team’s sideline reporter for Time Warner Cable SportsNet. Trudell recalls a favorite Kobe memory involving Thanksgiving dinner and a Ping-Pong table. 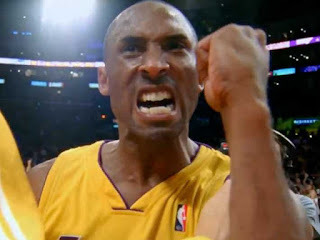 One week later, Kobe ordered an Olympic sized Ping-Pong table delivered to his house. 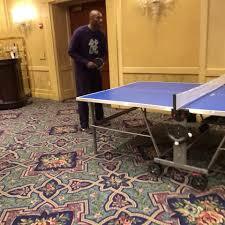 Kobe Bryant plays Ping Pong, Thanksgiving 2013. While playing the game many people start feeling hungry and tired, that’s why these people love to play the indoor game like foosball and ping pong. And some people are really crazy they purchase the ping pong dining table for their home and farmhouses where they enjoy their free time.